concern is with secondary owned real estate – vacation homes and time-shares and especially those located in a state other than your state of residence. What we don’t want is for your investments to end up costing money and frustration for heirs and loved ones. The best way to accomplish this is to avoid probate altogether. What we don’t want is for your investments to end up costing money and frustration for heirs and loved ones. The best way to accomplish this is to avoid probate altogether. When you purchase real estate you need to specify how you will be holding title to the property. Married couples can elect two types of tenancy: tenants by the entirety or joint tenants. As tenants by the entirety both spouses own an indivisible whole interest in the property, and if one spouse were to pass away, the deceased spouse’s interest in real estate automatically passes to the surviving spouse with no necessity of probate. As joint tenants, each spouse owns a 50% interest in the property that they can individually sell or finance. However, if they still own the 50% interest at time of death, their interest automatically passes to the surviving spouse outside of probate. Unmarried couples can also obtain the benefits of joint tenancy. Whichever tenancy is chosen, it has to be stated on the face of the recorded deed in order to be effective. What you want to see on the deed is: John W. Doe and Mary W. Doe, husband and wife as tenants by the entirety; or John W. Doe and Mary W. Doe as joint tenants. Failure to list a tenancy renders the owners as tenants in common – each would own their 50% interest, but the deceased owner’s interest passes to their heirs upon death and must go thru Probate for the interest to be conveyed. As we baby boomers age, we are losing co-owners to death and divorce. When married owners divorce, the tenancy by the entirety is severed, so upon divorce their tenancy automatically changes to one of tenants in common. Usually one party receives the real estate in the divorce, but everyone, including divorce counsel, often forget to have both parties execute and record a deed into the retaining spouse for secondary property. This is an issue I often find with time-share owners. John and Mary Doe purchase a time-share as tenants by the entirety. John and Mary divorce severing the tenancy by the entirety and they are now tenants in common. Mary is granted the time-share in the divorce. No deed from John and Mary into Mary individually is recorded. John passes away. Mary now wants to sell the time-share. She is unable to as under John’s Will he left any and all real estate interests to his second wife. So now Mary must obtain cooperation and a signature from wife number 2. If John died without a Will, then Mary must obtain cooperation and pay to open a probate proceeding as well in order to have the time-share administered and John’s ½ interest conveyed to Mary. For purposes of probate, real estate is governed by the state in which it is situated, not by the state in which the owner resided. If you reside in Massachusetts and own a time-share in Florida, the transfer of the Florida real estate to beneficiaries can only happen upon order of a Florida Probate Court. Thus your Estate files a probate proceeding here in Massachusetts and a second probate proceeding, called an ancillary probate, in Florida. 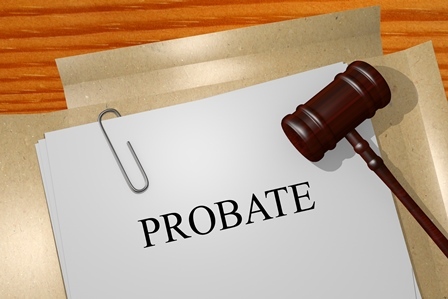 A second probate means additional filing fees, attorney’s fees and accounting fees and a delay in beneficiaries receiving their inheritance. Another common issue is when the surviving co-owner retains title individually and then passes away. The Personal Representative of the Estate needs to sell the secondary property. Sounds simple enough, but the problem arises when the deceased owner was a resident of a state other than the state in which the secondary property is located. In Massachusetts, a Probate Court order from another state is not accepted in Massachusetts. If the owner resided in Connecticut and the property was located in Massachusetts, the Personal Representative would need to file an ancillary probate here in Massachusetts in the county in which the property is located to have the property properly administered. Many Estate Representatives and heirs simply do not wish to undertake the expense of a second probate especially as the cost to do so may be greater than any sales price the secondary property would generate. In time-share situations, the Estate stops paying the yearly maintenance fees and lets the Resort conduct a “friendly” foreclosure, providing a death certificate and probate information to resort counsel so the time-share resort can send the required foreclosure sale notices to all heirs having an interest in the property. So how to avoid these problems? Here are a few things to consider. First, check the laws of both the state in which you reside and in which you own property. Will the secondary state accept a Will probated in your residence state, called a “foreign will”. Some states will accept a Probate Court order from your residence state. Transfer title to family members. As I represent several time-share resorts in Massachusetts, I often receive phone calls from time-share owners who now own individually after death or divorce and wish to add family members (usually adult children) as owners so that they can either use the time-share or be able to transfer title upon the original owner’s death. In such an instance, title of the parties would be held as joint tenants in order to pass outside of probate. Transfer on Death Deed or TOD. As of 2017, 27 states allow a property owner to record a TOD to allow real estate to pass outside of probate, and several more are considering adoption. The property owner records a TOD that complies with that particular state’s laws into the beneficiary in the state where the property is located, but the TOD specifically states that it doesn’t take effect until after the current owner’s death. The current owner continues to control the property, pay real estate taxes and can mortgage or sell it. The owner can revoke the TOD or record another TOD to name a different beneficiary. If the property was still owned at the time of death, a death certificate would need to be recorded and then the beneficiary named in the TOD would take title without the need of an ancillary probate. Unfortunately, Massachusetts is not a state that allows a TOD to convey real estate after death. Revocable Trusts – transferring title of real estate to a trust prior to death achieves a transfer of title upon death outside of probate court not only in your state of residence but also in the state the secondary property is located. To be effective a deed must be recorded transferring the secondary property into the trust, which will include language as to whom will be the successor trustee. Upon your death, the named successor can sell or transfer the property to the beneficiaries by recording a deed into them. Leaving the property to a trust established in your Will however, will still require your Executor to probate the Will and then record a deed from the Estate to the named beneficiaries. No matter which way you decide to proceed, remember to always discuss transfer of title to secondary property with your beneficiaries (make sure they actually want it!). Spend the time and expense now to speak to an estate planning attorney who can best assess your overall financial portfolio and family dynamics to decide which method is the best for you. The goal is to ensure that your secondary real estate smoothly passes to your heirs outside of any probate process. Should you have any questions regarding this article, please contact Laura Brandow at 781-817-4900 or via email at lbrandow@lawmtm.com. Originally posted October 25, 2018 on tlawmtm.com.